Pesach begins Friday, April 19 at sundown. Let us help make your observance special and meaningful. Read on to find out what will be happening in and around Or Shalom leading up to and during the holiday. Passover for Kids and Youth! 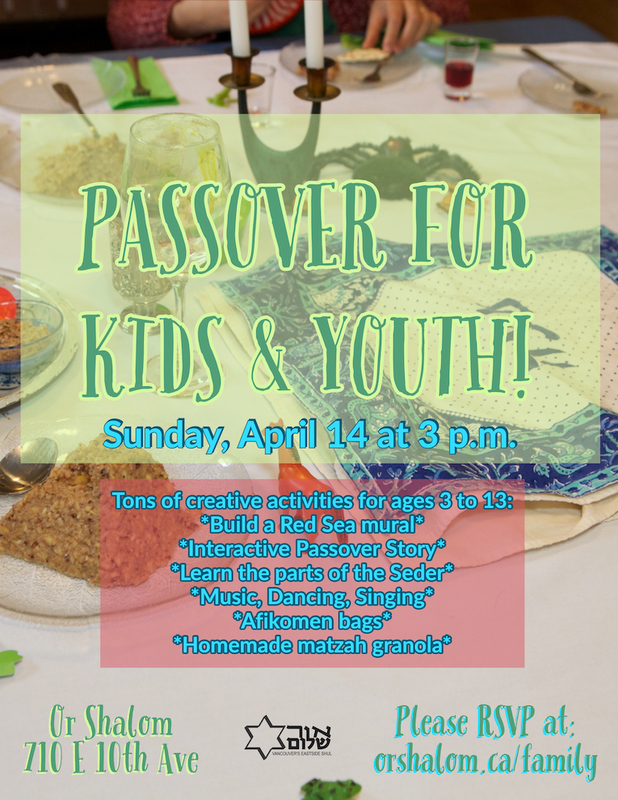 You and your family are invited to attend an afternoon of festive and educational Passover activities for children and youth at Or Shalom. Geared for ages 3 to 13, many festive and educational activities await. At this free event, you’ll learn the Passover story and bring home items that you can use at your own Seder. The afternoon will be led by Harriet Frost, leader of our B’nei/Simchat Mitzvah program (B’yachad), and Cantor Shira Stanford-Asiyo, leader of our monthly children’s program (Shabbat Sheli). Help build a Red Sea mural, hear an interactive retelling of the Passover story, learn the parts of the Seder, make afikomen bags, and dance and sing! Sunday, April 14 at 3 p.m.
Make sure you RSVP if you plan to attend. 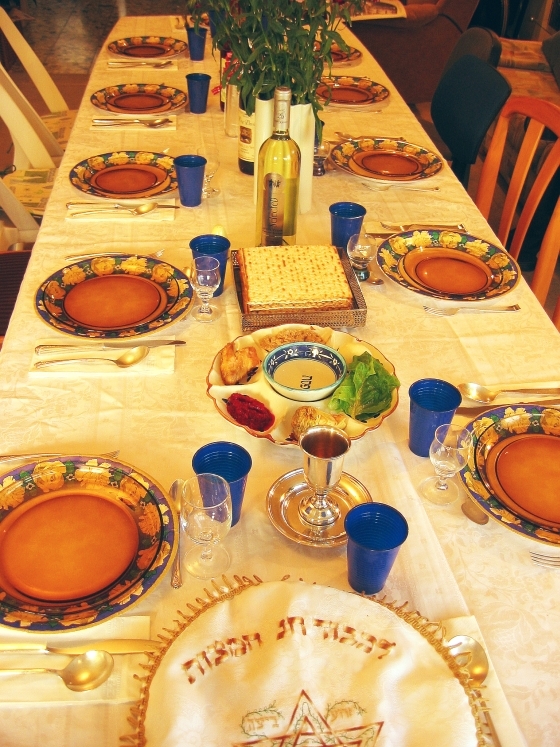 Do you have a free seat or two (or more) at your Seder table? Are you in need of a place to go for Pesach? Please write to gjmiriam [at] shaw.ca with Seder Matching in the subject line and Miriam will match you. In your email, please provide information to help make the best match, e.g. May we all move forward on our journey to freedom. Please join us on April 20 and 27 for Shabbat and Yom Tov service, beginning at 10 a.m. During Pesach, there will be no kiddush potluck on Shabbat (April 20 and 27). On April 27, service will also include Yizkor and a Yizkor Support Group will follow. Please see the calendar for details. Members, watch your mailboxes for the Passover edition of the Keren Or, which will go out in the mail this week. Digital version is also now available. This entry was posted in OrShalomInfo, Upcoming Events and tagged Jewish Vancouver, Pesach. Bookmark the permalink.